CRUK London Research Institute and Cold Spring Harbor Laboratory Press, freely provide the content of this book online in HTML and PDF format. The online web version also contains additional notes and enhanced features provided by the author, Kathy Weston. A print version of the book is also available for purchase (add to cart above). Access book chapter PDFs or the whole book PDF by visiting the book's web site blueskiesbenchspace.org. All royalties from the sale of the print book go towards ongoing research funded by Cancer Research UK. What happens when a cancer research institute's only remit is to be the best it can be? For more than 100 years, one laboratory in London has operated on just that premise. With a generous budget, inspired leadership, and a stable of scientific thoroughbreds, the Imperial Cancer Research Fund Laboratories produced some of the 20th century's most exciting advances in molecular biology. In its 21st century incarnation, as the Cancer Research UK London Research Institute, it continues to inspire a new generation of researchers. 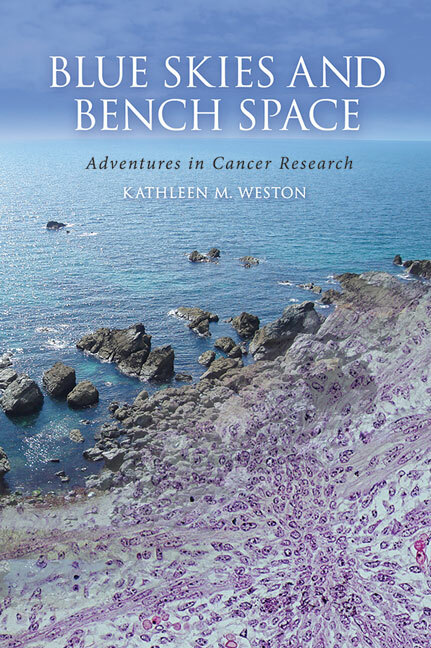 In this book, written with the assistance of the past and present inhabitants of the London Research Institute, Kathy Weston tells the inside story of the lab's greatest voyages into the scientific unknown, revealing the personalities behind the dry passive voice of the scientific paper. Science is an art, a vocation, a complicated landscape of data in which, just sometimes, the trained and alert eye can detect a glint of gold. In these pages, the gold is present, but equally to be treasured are the all-too-human scientists stumbling towards its seductive glimmer.